Rajnikant is back with another political drama. Directed by Pa Ranjith, this movie critically expresses the political reality. The star cast did great work. All the three i.eRajinikanth, HumaQureshi, Nana Patekar succeeded in satisfying the crowd. The movie has been loved by commoners. 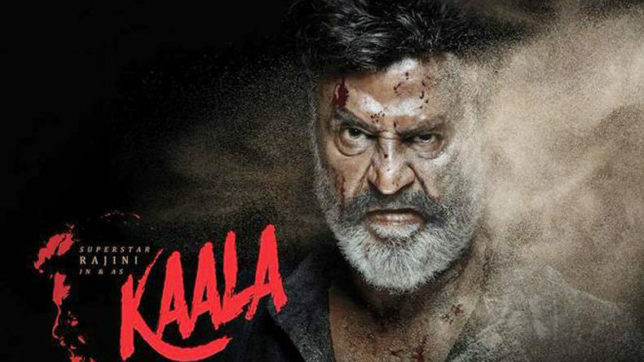 His movie ‘Kaala’ does a great job in making ‘beautification’ an ugly word. After Rajinikanth’s Kabali, to work in the same genre was not expected from Rajnikant. The ultimate notion of the movie is that it has portrayed Rajnikant as a politician. Mumbai’s Dharavi is known to be the biggest slum in the country. The story revolves somewhere around it. When it comes to the storyline, it is as follows: In the movie, it has been ordered to wipe out the dhobi ghat out of Dharavi. Then the protest takes place. The protest doesn’t remain peaceful for too long. Karikalan (Rajinikanth) is summoned to broker peace and the demolition is stopped. One of the protesters is Karikalan’s son Lenin (Manikandan). He is playing a role of an educated activist. He believes on the system to fix its own flaws. Karikalan also has another son, Selva (Thileeban). He is a straightforward man. He believes in bringing about change, even if it is by breaking a few rules. During a water shortage, Lenin sends a petition while Selva breaks open a water pipe that passes through. All in all, it is been said it is an underwhelming film. Previous articleWho is Nandamuri Balakrishna?